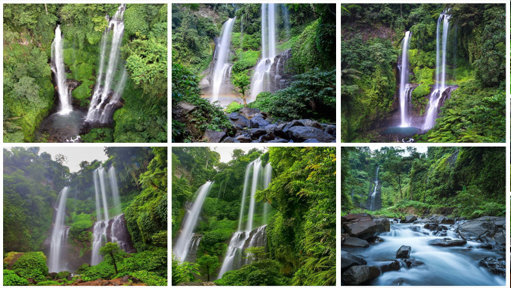 SEKUMPUL AND FIJI WATERFALLS ​is well known as the most magnificent waterfall in Bali which Located at Lemukih Village Singaraja .Visit Sekumpul Waterfall will takes a lot of effort and Hard Work .To Have a very smooth and understand what’s around area , it Can only be done by Trekking Local guide . This Package Created mean To Support Locals that live around this Village. 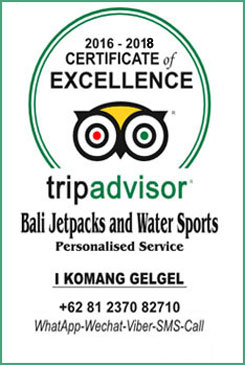 They Are Very Nice people that like to give the best for Bali Tourism and also Support their Family back home at the same time . Waterfalls Sekumpul not just made up of one or two waterfalls.There area tleast seven waterfalls are located separate and apart . Seven waterfalls scattered in the high cliffs and surrounded by green treessoo thes the eye. Seventh waterfall has a shape and a different height. Absolutely amazing !!! Other Than above detail such as Shopping , Additional Lunch and Drinks Package at​ ​Local Resto Sekumpul . Not Recommended for Participants with Back Problems , Epilepsy , Heart complaints or Other Serious Medical Conditions , Pregnant women , Those with Walking Disabilities or using a WheelChair as at the end there is 342 Stairs on Each Way Up and Down the Waterfalls . Since its one way back to your hotel after trekking than we will come by to this temple.it Located on the western side of the Beratan Lake in Bedugul,central Bali. Ulun Danu Beratan, literally ‘the source temple of Lake Beratan’, is easily the island’s most iconic sanctuary sharing the scenic qualities with the seaside temples of Uluwatu and Tanah Lot.The temple was built in the 17th century in worship of the main Hindu trinity, Brahma-Vishnu-Shiva, as well as the lake goddess, Dewi Danu. The sight and cool atmosphere of the Bali uplands have made the lake and this temple a favourite sightseeing and recreational spot as well as a frequently photographed site. 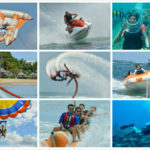 • CANCELATION Fees will apply to the Clients after made the reservation if somehow clients cancel the Trip and CANCELLATION which made by Clients at least 48 Hours before the start of the activities will Charges10%of theTotal Activities Price and The Down Payment USD 15 / PERSON of the total activities price which clients has paid will only get Refund USD 7.5 / PERSON to you by our side !